Don Logan, Next Level Growth’s Managing Partner, has over 35 years experience in building technology-based solutions and services companies. For the past 16 years, he has been the Managing Partner at Next Level Growth, LLC – a unique business advisory practice, helping the founders of emerging ventures get to their next level of growth. 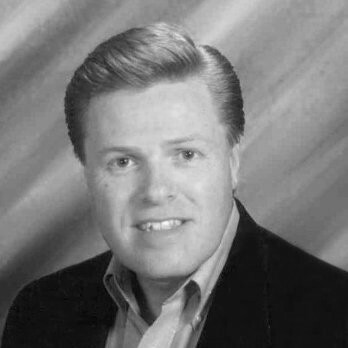 Prior to founding Next Level Growth, Don served as Chief Operating Officer for SmartEquip, Inc., a parts and services solutions provider for heavy construction equipment markets, where he brought the company from pre-revenue to full production status, establishing the sales/services/operations infrastructure and leading to a successful funding round. Previously, Don was recruited as President/CEO for Powers Golf, helping turn around this specialty supplier of publications, online software services and promotion tools for golf-related markets. Before joining Powers, he was Senior Vice President with Global Logistics Technologies (G-Log), Inc., an internet-delivered supply-chain logistics startup, where he established all revenue-delivery operations and client services infrastructure for the company. Don also served as Vice President and Chief Operating Officer for SpecTec, Inc., the U.S. subsidiary of The Visma Group, an Oslo-based international provider of enterprise software systems, where he integrated and expanded all North and South American operations for the company; as well as holding a number of progressively responsible positions for Marine Management Systems (MMS), Inc., serving as V.P. of Sales & Marketing, V.P. of Client Services and then Senior V.P. of Corporate Development, while guiding the company’s transition from a domestic custom software developer to an international leader in onboard fleet management application systems. Don started his career with Exxon Corporation, sailing as a ship’s officer with their domestic tanker fleet, working their inaugural Valdez, Alaska, pipeline delivery route as well as their specialty products services. Don holds a B.S. from the U.S. Merchant Marine Academy at Kings Point, NY. Over his career, Don has built and led every major function of a solutions/services-based company and guided these through all phases including product development, commercialization, infrastructure development, sales/marketing ramp-up, growth scaling and exit. His portfolio experience includes startups, expansions and turnarounds. Don is uniquely qualified to provide a bottom-line contribution in a senior executive role, while at the same time offering ‘roll-up-the-sleeves’ participation across all major sales, service, operational and financial business functions. He thrives in fast-paced and ever-changing business environments, and is adept at turning obstacles into opportunities – demonstrating a proven track record of exceeding revenue and performance targets across… and being able to tactically deliver near-term results while strategically building the infrastructure, processes and teams needed to support long-term growth and scalability.